Far too often, people use language and labels that focus on an individual's challenges and problems. 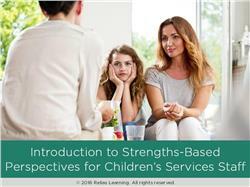 The Strength-Based Perspective is a way of thinking about clients and families from the viewpoint that all people have strengths and characteristics that help them to be productive and have good mental health. The main goal of this course is to teach you the basic characteristics and principles behind the strength-based perspective. You will gain an understanding of the core concepts of the strength-based perspective, as well as the importance of the language you incorporate into your everyday work. 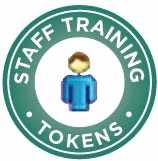 This training is appropriate for any paraprofessional working in the field of children's services. Interactive exercises and real-life case vignettes, along with four specific tools will help guide your assessments and interventions, thereby improving your approach to helping others. Describe the principles and philosophy behind the strength-based perspective. Explain the guiding assumptions of the strength-based approach. Implement four tools to assess and build on a persons strengths. This course was written by Tia Thrasher, MSW.Ms. Thrasher is a Medical Social Worker at Rady Children’s Hospital San Diego and has focused her professional career on youth and families dealing with traumatic crises, acute and chronic illnesses, and family violence. Prior to working with children, Ms. Thrasher spent 10 years coordinating NIMH-funded research for the University of California, San Diego, working closely with adults with severe mental illness, as well as collaborating with physicians on NIH-funded clinical outcomes research on women’s health for Kaiser Permanente. Ms. Thrasher obtained her Master’s Degree from San Diego State University where she received a scholarship from the Association of Social Work Leaders in Health Care Southern California. Disclosure: Tia Thrasher, MSW has declared that no conflict of interest, Relevant Financial Relationship or Relevant Non-Financial Relationship exists.